The University of Southern California and Olympus have announced their first-ever co-development partnership with the goal of advancing multiscale research into cancer prevention, diagnosis, and treatment through precision medicine. The USC-Olympus Innovation Partnership in Multiscale Bioimaging demonstrates the clinical utility of new technologies that combine the workflow of a surgical biopsy and primary diagnosis with microscopic cellular and molecular characterization. The resulting personalized medicine and treatment selection will advance cancer research and potentially improve the precision of patient diagnosis and treatment. 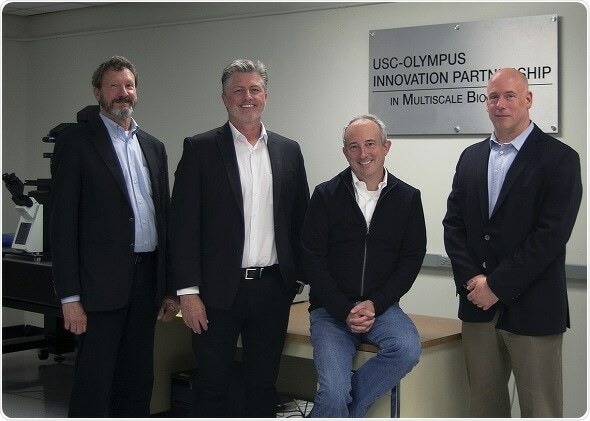 Celebrating the launch of USC-Olympus Innovation Partnership. Cancer medicine is at a crossroads. Molecular research has shown that hundreds of genes and proteins are involved, making it difficult to envision how genetic approaches and standard treatments will cure cancer. Because of this, USC and Olympus have assembled a powerful team of translational researchers, clinicians and technologists to advance diagnostic capabilities toward precision medicine." Our partnership with Olympus is accelerating our capacities to develop and advance bioimaging technologies, helping us to create the next-generation tools needed to accelerate translational research and, ultimately, benefiting patients sooner and widening the horizons of multiscale imaging." Olympus is honored to provide the optical tools used to capture the breadth of what's happening in patients and transforming cancer medicine. 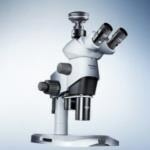 Our deep experience and capabilities in both microscopy and medical technology businesses position us to lead the charge in the fight against cancer. We are excited to partner in the co-development of technology with the hope of translating these innovations to healthier, safer, and more fulfilling lives for people around the world."